The Station opened its doors to a music hungry crowd filing into the venue to catch a pretty local talent wagon. Atmospherically lit, vibes permeated the intimate space as drinks flowed and the masses gathered. 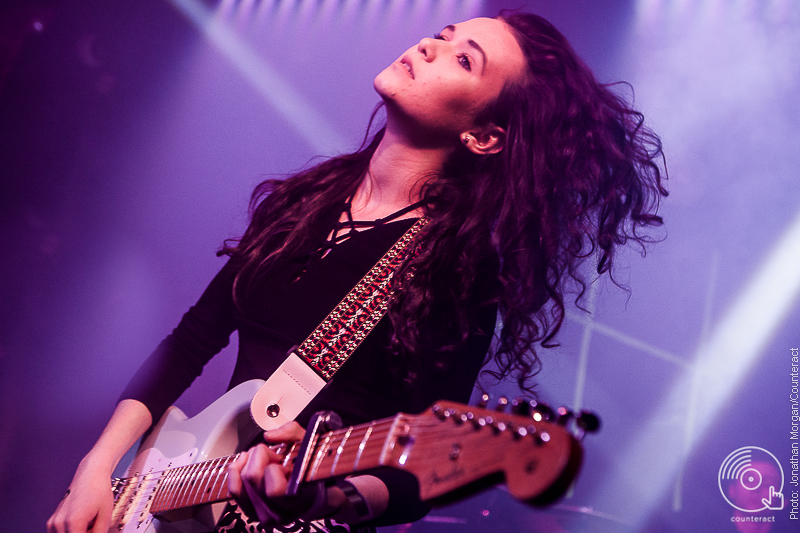 ­­LCKD gave a tight, well crafted debut live performance with little flaw and great confidence. They covered all angles; already receiving relaying chants of “Licked” relating to their name, they were met by a welcoming response to kick off their future in live music. Showing likenesses to Nirvana their songs are entwined with intricate strings, a dark, grunge sound and deep self-relatable lyrics. Awaking the crowd with an invasion from a dressed-up Mexican, LCKD thrashed out an upbeat track. The crowd was parted by a companion adorning Mexican garb who relentlessly shook maracas and himself in entirety ahead of the crowd. LCKD did utter a word of warning at the intro “mind the Mexican!”. The Cosmics landed shortly after with a quirky pop-punk set. With the intelligent, contrary lyrics of the likes of Kate Nash and Lily Allen colliding with tight rapturous rhythms and strings bringing a fruity feminine flavour to punk statement. Edgy female lead, petite in appearance brought a big voice and huge sass to the growing crowd. Fresh, bouncy but with a bite, The Cosmics demonstrated individuality and huge potential. With 80s rock undertones to their original tracks, The Cosmics have formulated music ahead of their years. A little fireball of talent, the band have a fresh complexion with a sound unexpected on first glance. The band carry a natural zest and well established confidence making them one to watch out for. The Drive are certainly going places. An unconstrained set of hook-packed tracks were smashed out to an engaged crowd. 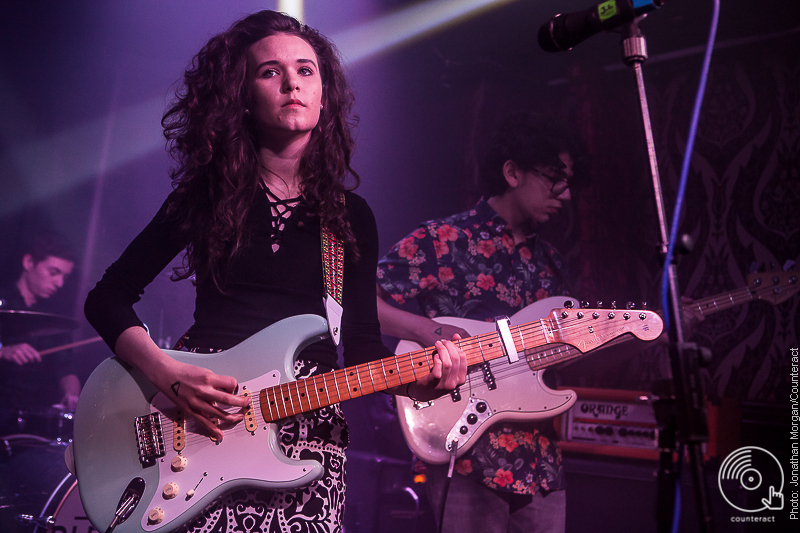 The Birmingham unit confirmed their rightful position as part of the bubbling Birmingham music scene with a fast-paced, eclectic performance. Essences of pop, true indie and grunge hints ran throughout, wrapped around lyrics of aggression, true-to-life and depth. Front man Will, possesses an unrivalled presence, vocal knack and leads a band of unmissable demeanour. 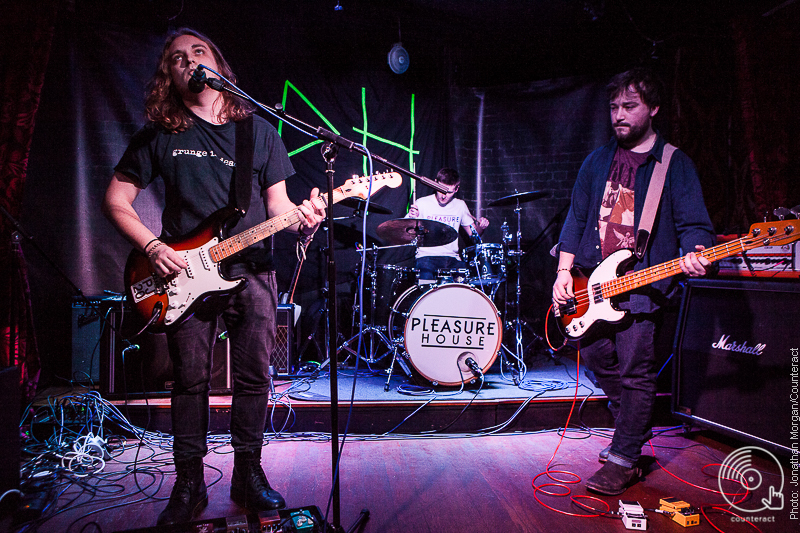 A blackout and eruption of smoke preceded a lengthy instrumental build up calling on Pleasure House. Coupled with a set list of unheard new musical elixir, the band were set to reveal the products of their new audible identity. Notorious for producing memorable, rhythmic cocktails the Pleasure House boys mix masculine charisma with fizzy, floral harmonies…and boy do they do it well! 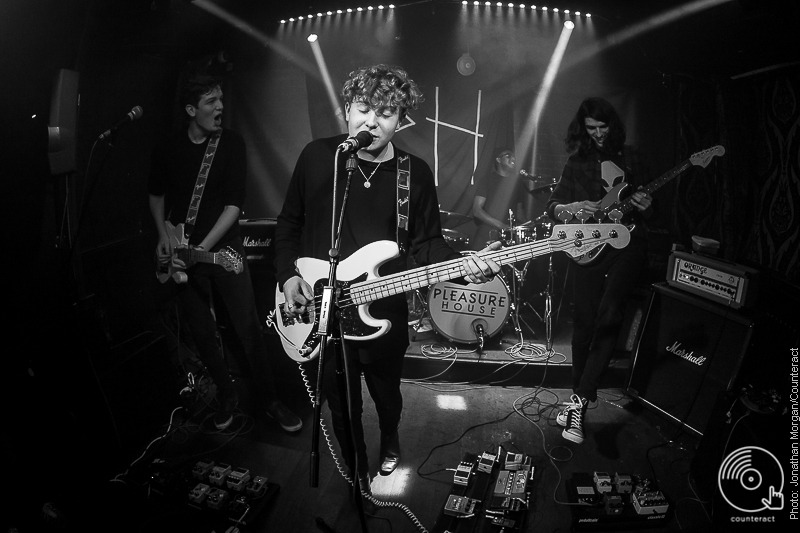 2015 saw the Birmingham boys flourish, gaining momentum and deserved recognition for their melodic bewitchery. Opening with the lyrically contagious ‘Like A Drug’, fans received their fix of familiar indie-pop flavours. Released in early Autumn of last year, this song echoed post-summer love blues and kick started a ripe close to the year for the boys. 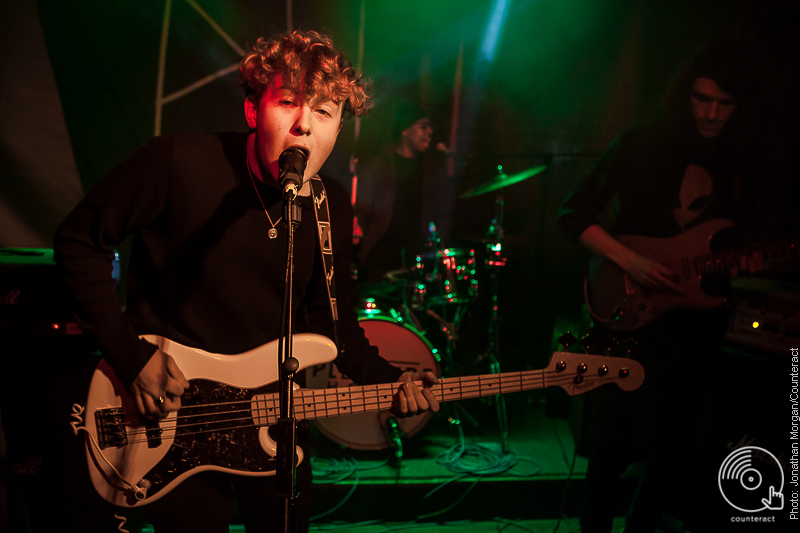 Championed as “the next big thing from Birmingham” the song received huge support from BBC Introducing as well as a roaring general response- rightly so. The feel-good foursome proffered a taste of their new material, plunging listeners into a darker, less fizzy liquor of whirring undercurrent. Presenting ‘Cyan’ true to shade, listeners lapped up the more mysterious aura concocted by the band. Flowing into ‘Why’d You Have 2 Go?’ another newfangled track, the band demonstrate their meticulousness remains throughout a thicker in substance sound. 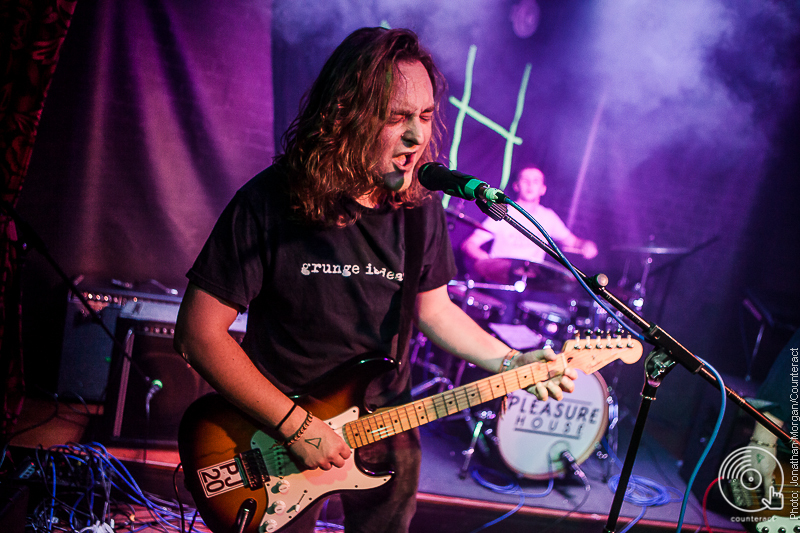 Renowned for a particularly well encompassed ability to provide articulate, pun-laced narratives over bouncy instrumentals, front man Alex, leads a serving of the original Pleasure House delights. ‘Blow My Mind’ pummels to an eruption in the crowd, bringing back the taste of party this band have an unrivalled ability to create. It appeared every mouth in the room was wrapped around the lyrics as the lights picked up in time with the bounding audience. Pleasure House were back. Taking the eager crowds on a reverberating safari with ‘Radical’. The fluid tracks tropical essence is always an invite for all to move with the dynamic quartet. Followed by the trashing rhythm of animated, adroit drummer James kicking into ‘Man Overboard’. Previously one of the heavier and less colourful of their tracks, listeners were comfortable in its density and its’ careful placement as the sets cleverly followed the course of the crowds alcohol influence. Pleasure House most certainly mastered the crowd conduct from day one. Another new offering, came in the form of ‘Renegade’, new to the menu, again a darker more sour liquor than the past tang. Being the first live performance of the bands new tracks, fans responded with excitement for some fresh fruits and welcomed the change. First notes then revealed the previously teased track ‘Wasted On Me’, front man Alex’s signature sharp vocals reached the darkest corner and vibes exploded. Leaving the stage with some urge, the room fell to blackout encouraging a swift exit from attendees, passing the post-stage high intoxicated PH boys on departure. It is fair to say, Pleasure House, as always have continued to conjure intelligent, musical magic, which will open new doors for 2016. Virtuosos in the art of party, it would be a shame for the anthemic honeyed dulcets to not continue to reign in their sets, but let’s see what warmer climes brings later in the year from the summery-sounding sugar coated dirty pop accomplices.